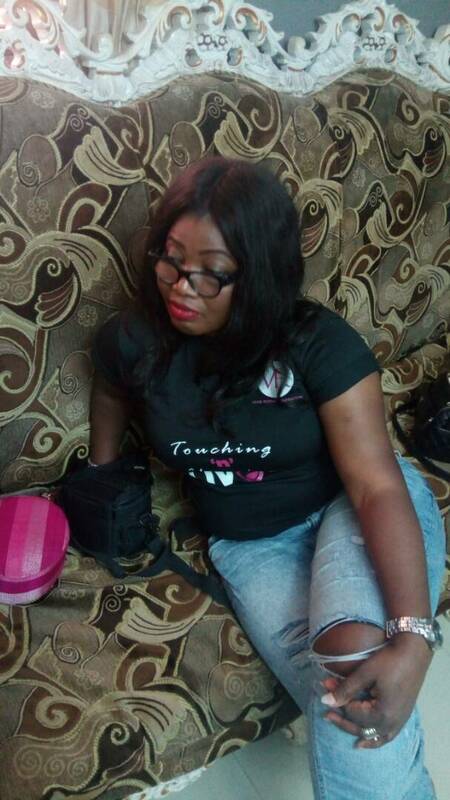 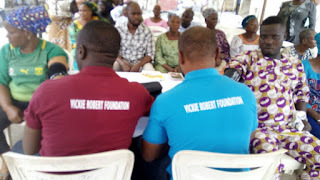 The act of doing good has become the hallmark of Vickie Robert Foundation, United Kingdom and Nigeria. 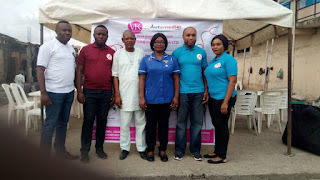 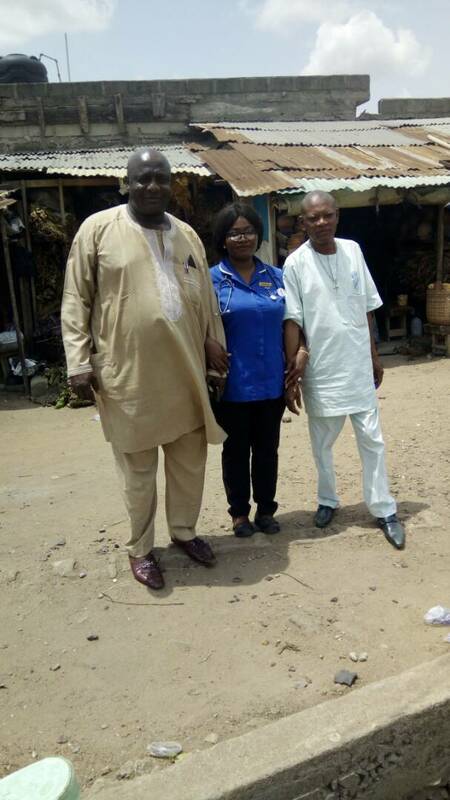 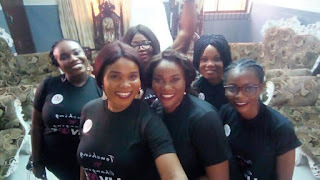 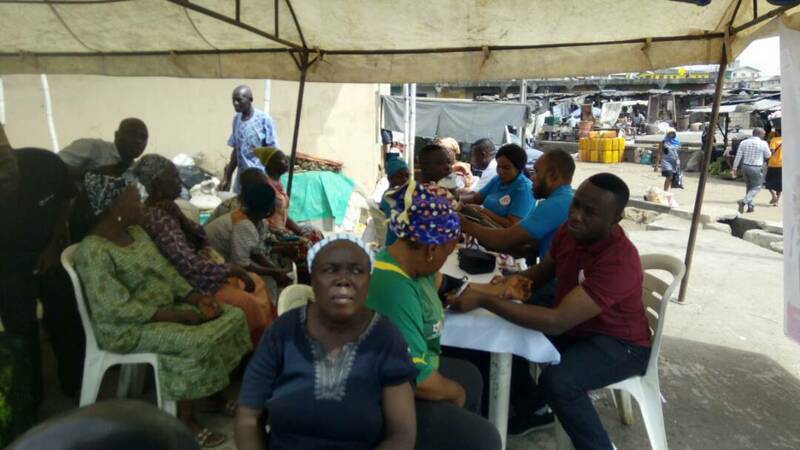 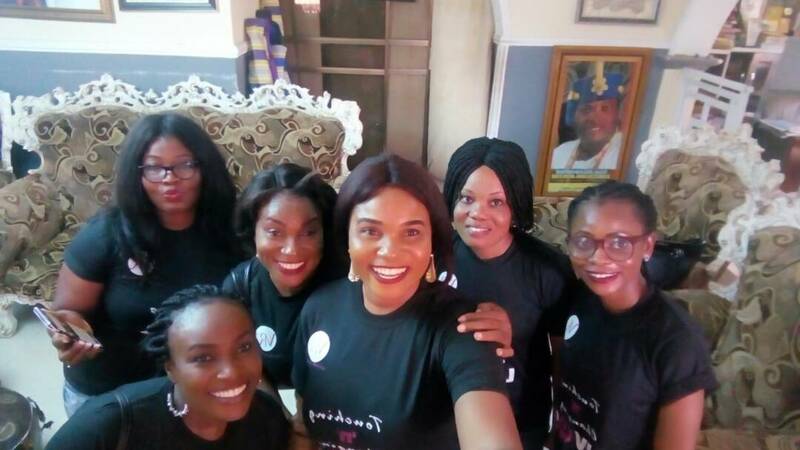 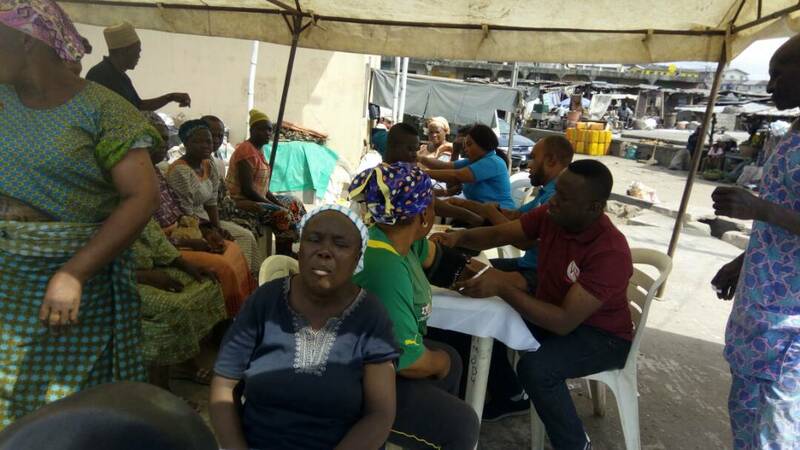 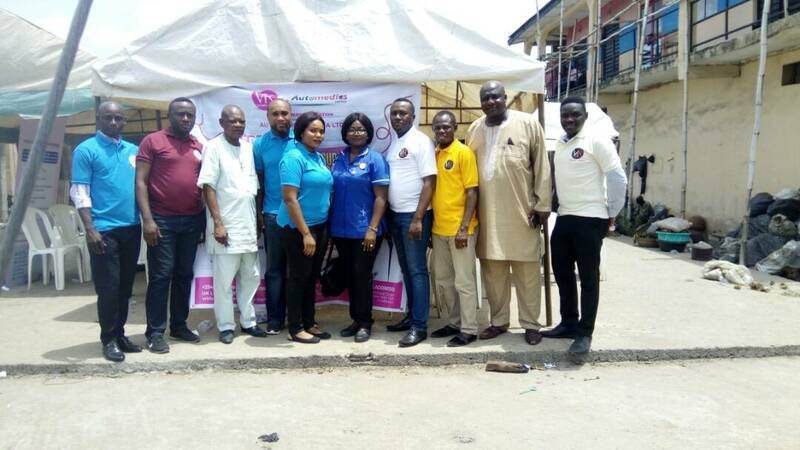 The team that was headed by Ambassador Victoria Okere, was in Nigeria recently and carried out a lot of free medical screenings across the country. 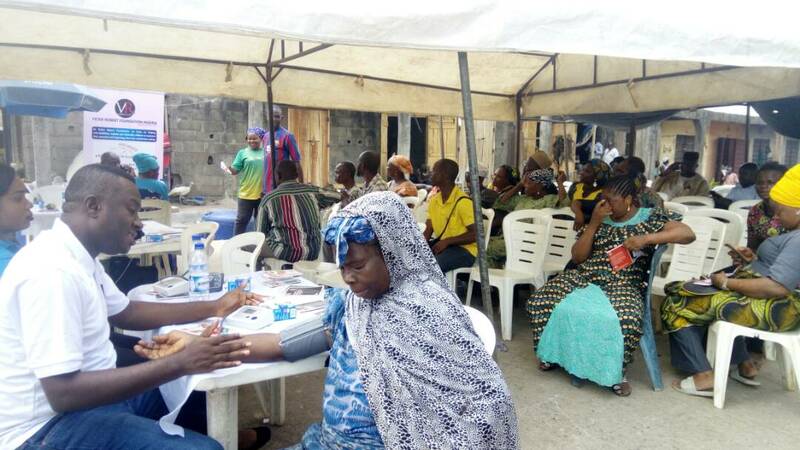 First was the historical feat at villages of Sapeyi in Garki FCT, Abuja and Sauka-Kahuta, Lugbe also in Federal Capital Territory, Abuja. 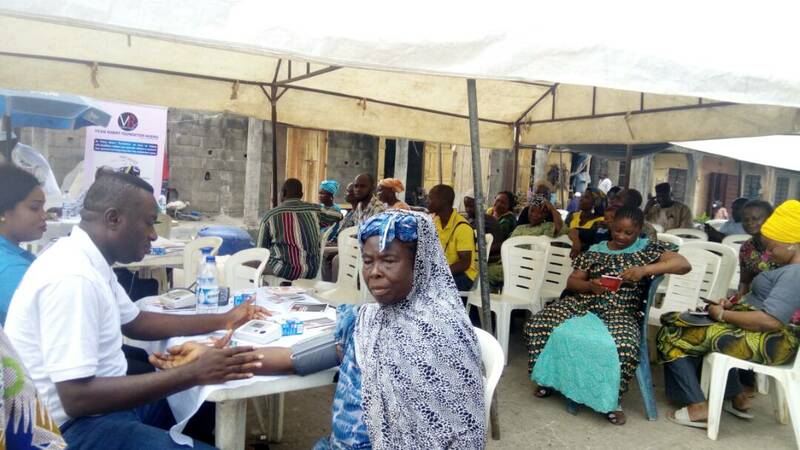 The free medical mission which started on Friday April 27, 2018 carried out the screenings and donation of free medical items at the palace of Sapeyi of Garki FCT, Abuja, Alhaji Dr. Chief Usman Ngakupi. 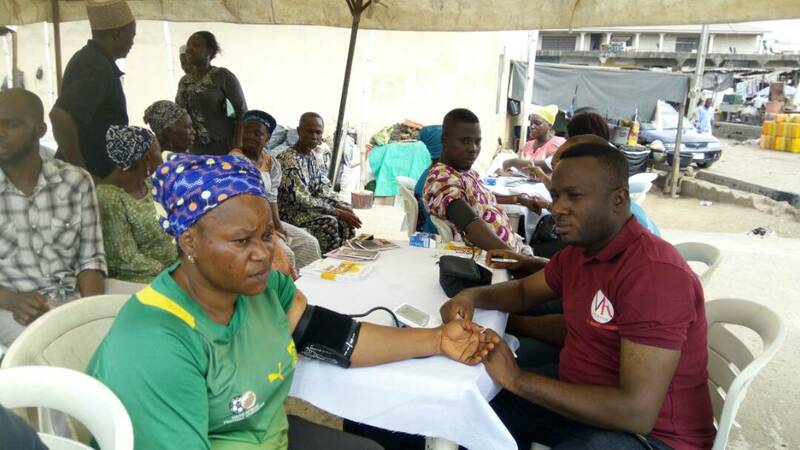 And on the following day, Saturday April 28, 2018, the medical team moved to Lugbe also in Abuja, where they were hosted at the site of BIOS Properties by the Osu of Sauna Kahuta Lugbe 1, Garki, Abuja. 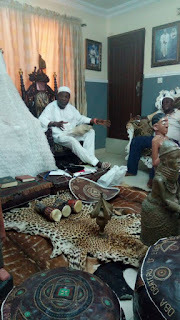 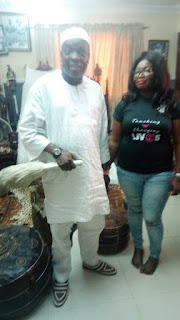 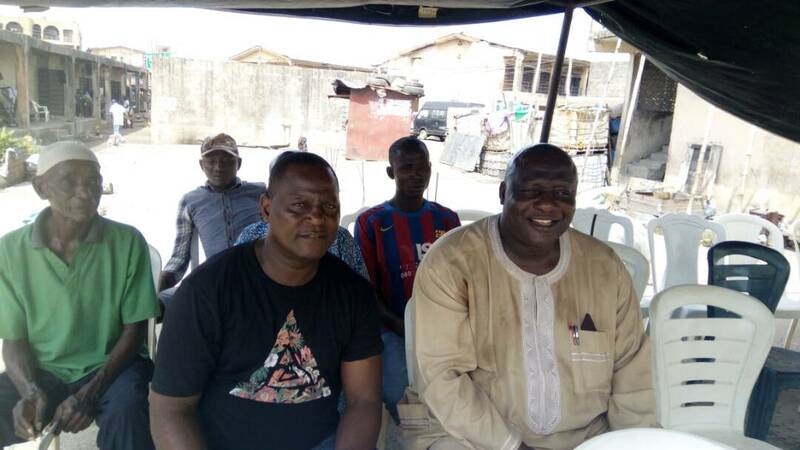 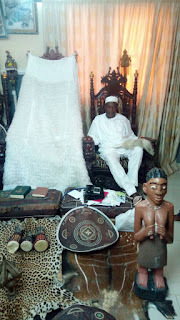 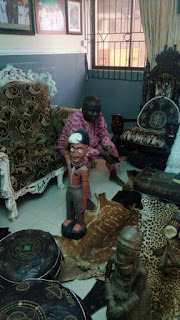 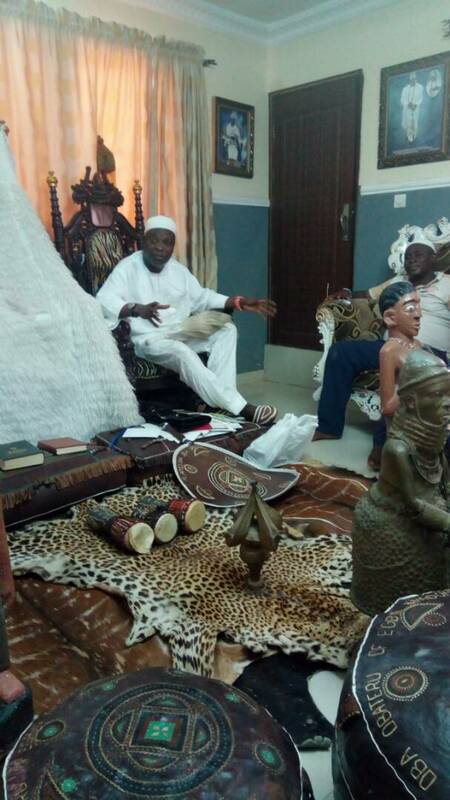 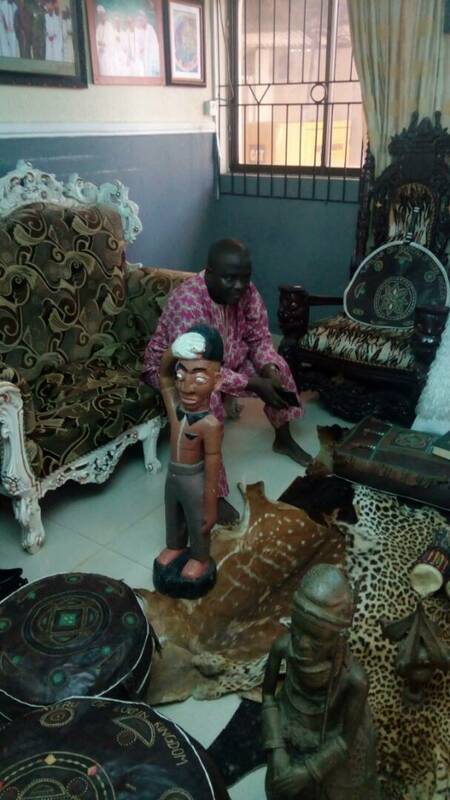 The team then moved to Lagos, with the first assignment being the courtesy visit to HRM, Alaiyeluwa Oba (Dr.) Adeoriyomi Oluwasesan Abdul-Akeem Oyebo (arpa) Obateru of Egbin Royal Kingdom on Sunday April 29, 2018 at his Obateru Royal Palace Egbin, Ijede Lagos. 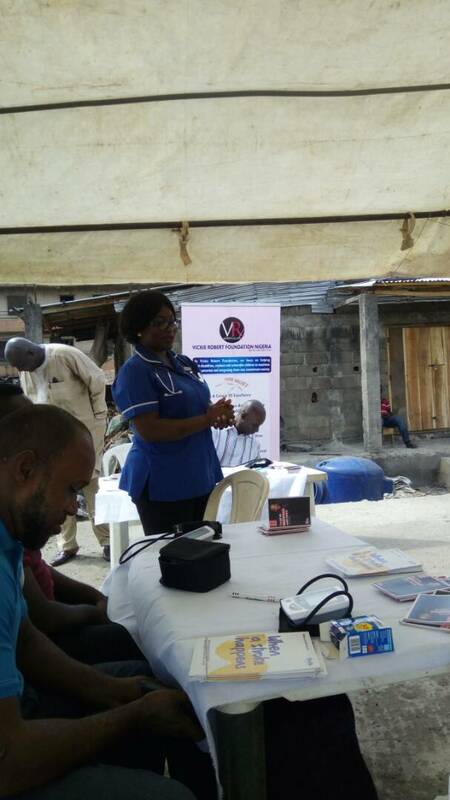 The Royal Highness blessed the team and charged them to continue with their good works saying, prosperity will surely remember them. 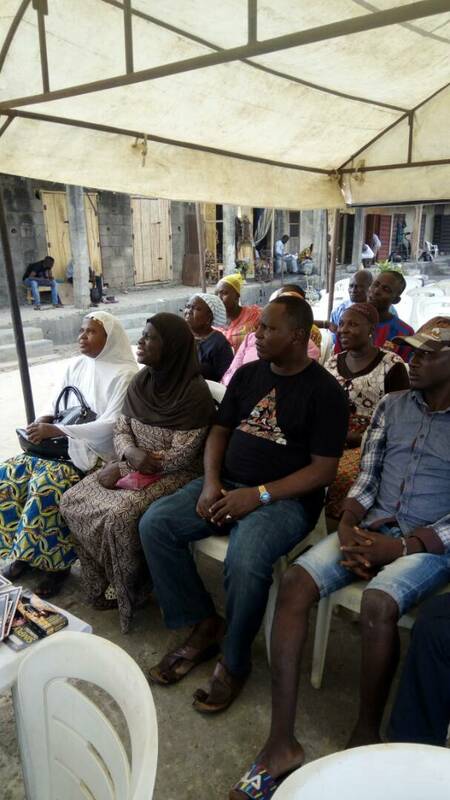 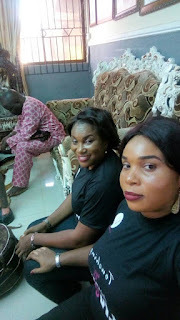 On Monday April 30, 2018, the team moved to Awolowo Market in Mushin Local Government Area of Lagos State. 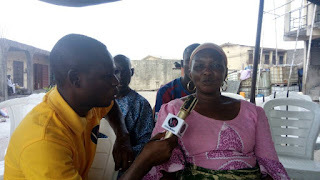 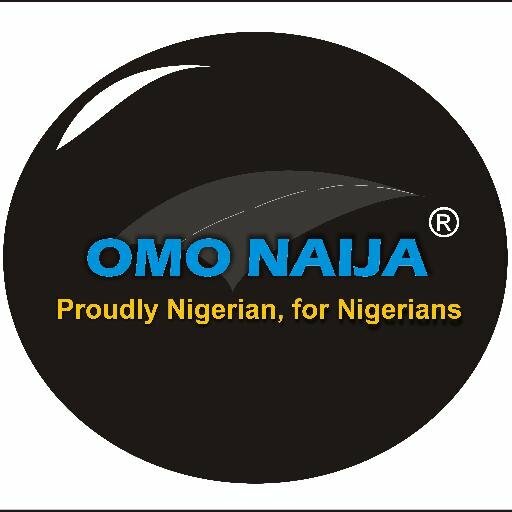 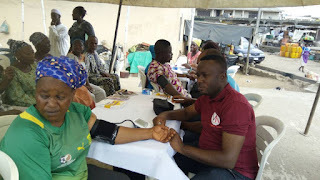 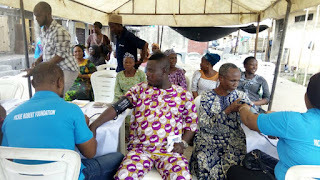 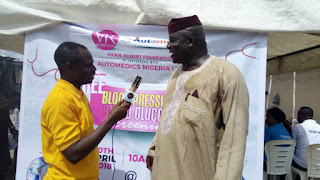 Mushin Olosha to carry out free Blood Pressure and Blood Glucose screening in partnership with Automedics Nigeria Ltd. The market women who could not hide their joys came out en mas to enjoy this humanitarian service, praying that such activity should be a continuous exercise. The team afterwards moved to Abuja on Wednesday May 2, 2018 for A one day presentation on Menstrual Hygiene Management to the Nigerian Army Female Cadets at Nigerian Defense Academy, Kaduna. Over 500 female Army Cadet officers attended the presentation which which was lauded amidst great applause. 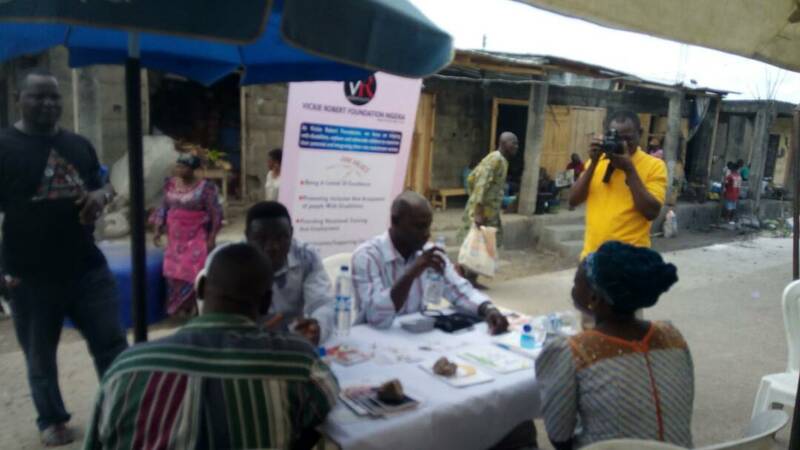 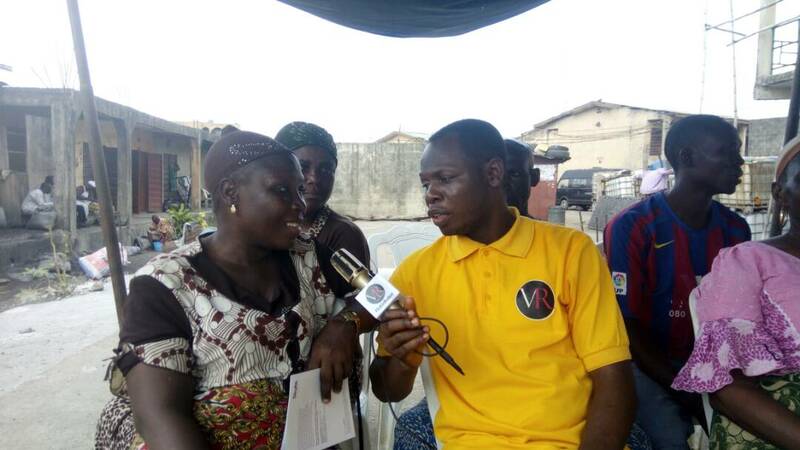 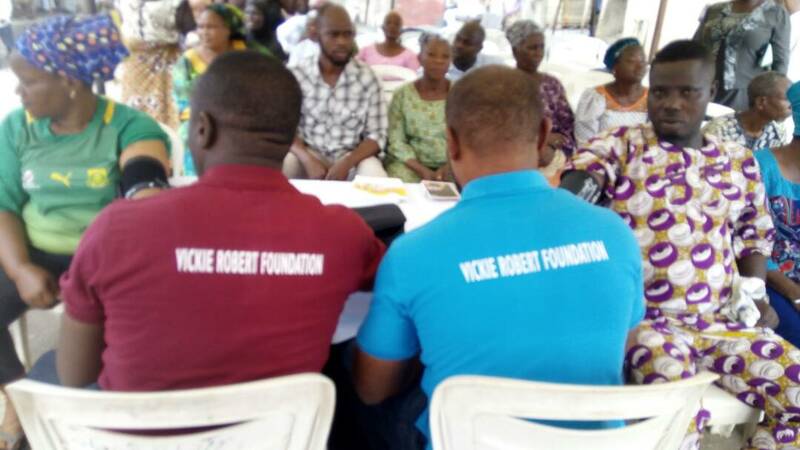 Vickie Robert Foundation UK &Nigeria, has been in the forefront of free medical screenings in Nigeria.